Directions:US-59 South.Exit Williams Way Blvd and travel 1.24 miles. Left onto Veranda Trails Pkwy. Take first exit on roundabout and turn right on Wildwood Park Rd. Turn right on Wessendorff Place. Left on Henderson Row Dr.to model at 22902 Henderson Row Dr.
SchoolsClick map icons below to view information for schools near 23339 Bingum Pass Dr Richmond, TX 77469. Listing provided courtesy of Lennar Homes/Village Builders. Home for sale at 23339 Bingum Pass Dr Richmond, TX 77469. Description: The home at 23339 Bingum Pass Dr Richmond, TX 77469 with the MLS Number 4533322 is currently listed at $308,440 and has been on the Richmond market for 73 days. 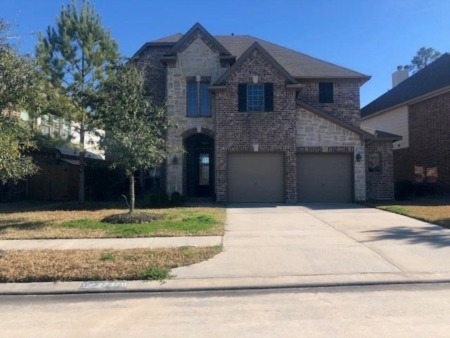 You are viewing the MLS property details of the home for sale at 23339 Bingum Pass Dr Richmond, TX 77469, which is located in the Veranda subdivision, includes 4 bedrooms and 4 bathrooms, and has approximately 2620 sq.ft. of living area.